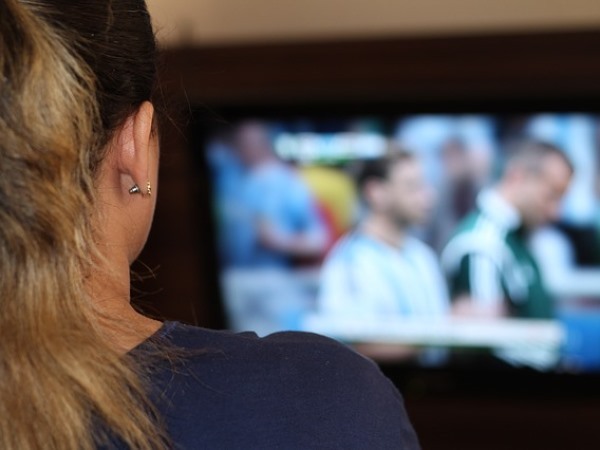 Sick of your partner not responding when they're watching TV? Rather than ignoring you, they might genuinely not be able to hear you. Scientists at University College London studied 13 people to find out how being engrossed in a task affects responses. By giving participants two puzzles to complete - one complicated, one easy - they could tell focusing on a hard task minimised brain responses. The effect was much more pronounced when test subjects were given the tougher puzzle. "We found that when volunteers were performing the demanding visual task, they were unable to hear sounds that they would normally hear," study co-author Maria Chait explained. "The brain scans showed that people were not only ignoring or filtering out the sounds, they were not actually hearing them in the first place." Scans show that sight and hearing share a small part of the brain and when battling it out against one another, the eyes win. While the phenomenon, described as inattentional deafness, has been proven before, this is the first time scientists are getting to the bottom of why. "Inattentional deafness is a common experience in everyday life, and now we know why," Professor Nilli Lavie said. "For example, if you try to talk to someone who is focusing on a book, game or television programme and don't receive a response, they aren't necessarily ignoring you, they might simply not hear you. "This could also explain why you might not hear your train or bus stop being announced if you're concentrating on your phone, book or newspaper." Scientists also fear there could be greater implications, such as surgeons being so engrossed in operating, they may mishear equipment beeping. So next time you're faced with the frustrating situation, give your partner the benefit of the doubt. And if all else fails - shout at them!